Former Maryland Lt. Gov. 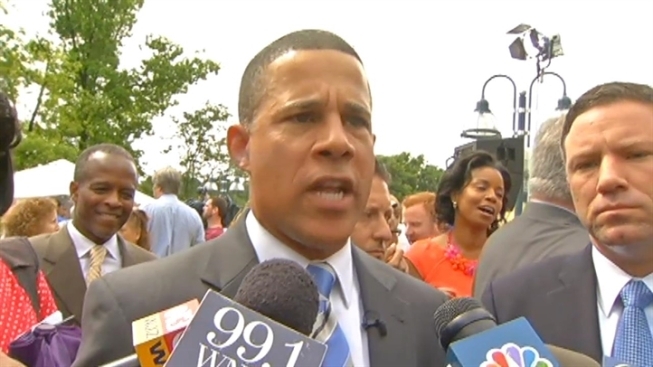 Anthony Brown has announced his intent to run for Rep. Donna Edwards' House seat. Edwards is running for Sen. Barbara Mikulski's Senate seat in 2016. In a message posted on his website Thursday, Brown wrote that he decided to run for office again because he still has "something to give back to the community." "Families in the 4th District have been fortunate to have a leader like Donna Edwards fighting for them every day. With your support, I'll continue that fight," Brown's letter went on to say. Brown lost the Governor's race to Larry Hogan last year. His announcement will come just a day after former State's Attorney Glenn Ivey said he will also enter the race for Edwards' seat.